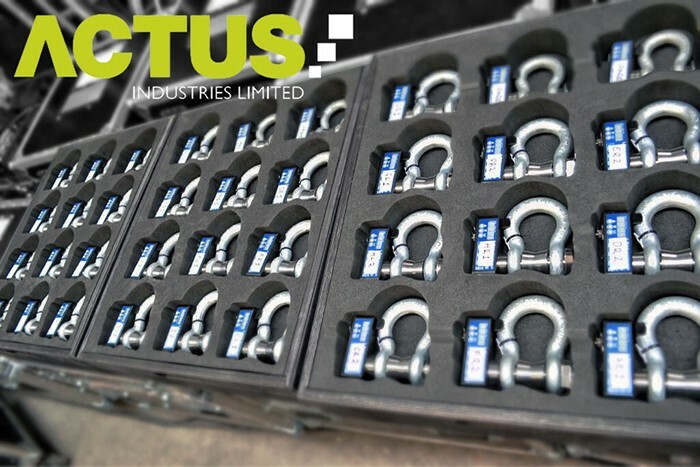 Greenford UK based rigging specialist Actus Industries has invested in new Kinesys Elevation 1+ controllers, Liftket chain hoists and a LibraCELL load monitoring system to expand its rental stock. Actus Industries is headed by Andy Martin, and its senior management team includes some of the most experienced and respected practitioners in the production, show and event industry. The business has three separate divisions: equipment hire, selected sales and project management. Actus general manager Adam Beaumont explained that they always intended to go into automation and the choice of brand was made because, "Kinesys is easily the best option’. They recently won the contract to supply the full rigging package to Robbie Williams’ ‘Take The Crown’ tour, and at this point decided to expand their Kinesys elements. The new Kinesys kit – including Liftket motors, Elevation 1+ drives, Vector control and 35 Libra load cells - is partly supplied as a dry hire to Robbie Williams’ production, as specified by head rigger Jerry Hough, and partly being used to facilitate a bespoke movement system for two giant doors in the stage set, which has been designed by Kinesys’ Andy Cave. 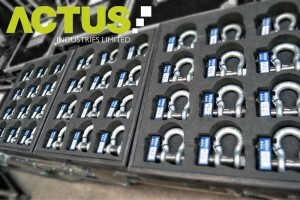 Knowing the Kinesys product range very well, Actus had been looking to invest for some time. "When Robbie Williams was confirmed, it was the ideal opportunity to increase our automation and load monitoring kit," says Beaumont. Additional reasons for deciding on Kinesys is the "universal popularity" of the brand, the fact that it’s "frequently specified" on touring and show systems of all types worldwide. "Kinesys is always top of the list," he confirms. A secondary reason is the close proximity between Actus in Greenford and Kinesys’ own HQ in Hampton, which makes technical support, etc. even easier. The Actus team have been fully trained on the Kinesys range and are very excited about working with the various products. "I am sure the relationship between Actus and Kinesys will just go from strength to strength," states Beaumont. Kinesys marketing and business director Cristiano Giavedoni adds: "Actus Industries is very attentive to market trends and they recognise the growing potential of automation technology products. Kinesys in turn endeavours to provide the very best service and support for its clients producing quality products with the right features."